Do you want to learn how to rebuild your credit? Rebuilding your credit can easily seem confusing. You may only have just discovered that you have bad credit or perhaps you would like to apply for a mortgage and need to do some rebuilding first. There is no need to feel overwhelmed. 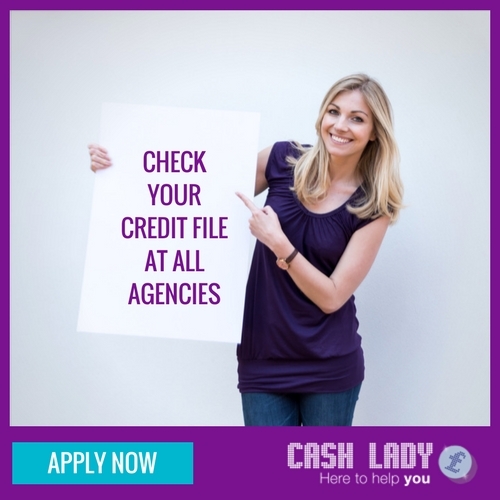 At Cash Lady, we have used our years of expertise to put together a series of articles covering everything you need to know. This article covers where you should start, beginning with checking your file. If you are rebuilding your credit then it is essential that you first analyse your current financial situation. You may have been too afraid to check your bank balance or acknowledge how much debt you owe. Maybe you’ve never thought of checking your credit file. Even if you have checked your credit report in the past you should do it again. There may have been recent changes that have negatively impacted your score. Checking your credit file unlocks crucial information. It shows you what information lenders look at when you make an application. It also gives you an indication of your credit score and highlights areas that you need to improve. You should note that there is no universal credit score. Each lender has their own criteria and will score you based on that. When you view your file you may receive a score but this should be taken as a guide only. You can check your file in many ways. The most popular are online. Through the three main credit agencies, Experian, Equifax or free service, Noddle acting for Call Credit. Experian and Equifax offer a free 30-day trial. You are required to enter payment information and then cancel your membership before the trial expires or you will be charged. Your credit file is very important and so you are legally obliged to be able to view it. You can access your statutory report for £2 from each of the main agencies. There is no need to do this, though when you can access it for free. It is recommended that you check your file at each agency because the information may be slightly different. You don’t know which agency your lender will use to check your information. It is also essential to check for errors. This is particularly important if you are about to apply for a mortgage. It can be surprising to learn how much financial information about you is available. Each of your credit agreements. Under each credit agreement, it will show you, month by month, if there have been any missed payments. You will notice that some debts are not shown on your credit file. These include student loans, council tax bills and debts to utility companies. Any accounts currently in default, bankruptcies, County Court Judgements (CCJ’s,) Individual Voluntary Arrangements (IVA’s), or Debt Relief Orders (DRO’,) will be shown. A lender can default your account if there have been lots of missed payments. It means that they have cancelled the agreement that you had with them. It is important to check the details of your default, paying particular attention to the date that it was issued. A default will stay on your file for 6 years and so the date that it began is important. You should know about any defaults on your credit file. If you haven’t been made aware of it then you should contact your lender. If you feel that the default is unfair, or you would like to explain the circumstances then you can issue a notice of correction. This is done through the credit reference agency. When lenders search your file they will see the default but they will also see the note of correction. You get a county court judgment (CCJ) or high court judgment if someone takes court action against you, claiming that you owe them money. It will reach this stage if you haven’t responded to them previously. If you pay the money back within a month then the CCJ will not appear on the public register or your credit file. Otherwise, it will remain there for 6 years. You can apply to the court if you feel that you do not owe them money. Debt relief companies may claim that they can get a CCJ removed from your file. This is not the case. This is the final resort when managing lots of debt. It is an official process, registered in the public records. It could affect your ability to purchase or rent a house or get a job in certain fields. You can apply to be made bankrupt. If you owe lots of money then a lender can apply to have you made bankrupt. All of your debt is cancelled out. This doesn’t mean that it’s an easy solution, it’s a serious legal process. It will stay on your file for at least 6 years. You will find it extremely difficult to get credit. In Scotland, bankruptcy is also known as sequestration. This is another formal way of handling your debt. It is less drastic than bankruptcy but could lead there. It is also a public record and so it has serious consequences. You work with an insolvency practitioner to set up arrangements with each of your lenders. They will not be able to bankrupt you during this period. You will have to pay fees for this service. If you do not make the agreed repayments then the insolvency practitioner can make you bankrupt. 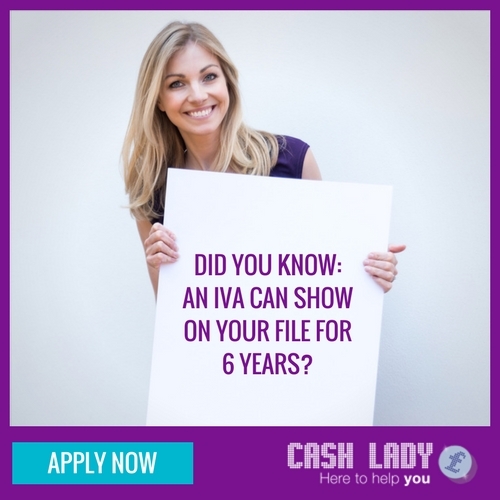 An IVA will stay on your file for 6 years. In Scotland, an IVA is known as a Protected Trust Deed. If your debts are under £20,000 and you do not own your home then you may be eligible for a DRO. Again, this is a matter for your public records so shouldn’t be taken lightly. If do not have any spare income then certain debts will be cancelled out. If you are paying anything on hire purchase then you would have to give it back. It will stay on your file for 6 years. Before considering any of the above it is essential you first get free and impartial advice from Citizens advice or The Money Advice Centre. You should review your finances and try and set up informal arrangements with your lenders yourself. There are lots of companies that make money from setting up IVAs’ and DROs’ for you. They may tell you that it’s the best option even if it is not. Do your research first. If you have any of these on your file then rebuilding your credit will be more difficult. Lenders like to see evidence of stability. Too many changes of address can impact you negatively. Check that address details are all correct. All linked addresses from the last 8 years will be on file. This includes any postal addresses that you have used. If there is anything that you do not recognise then this is an indication of fraud. You should contact the credit agency and financial institution that the address is linked to. They will investigate the matter for you. Other people’s debt at the same address as you will not impact your rating. Other people will only impact you if you are financially associated with them. Missed payments and late payments will impact your credit score. It’s essential that you bring your accounts up to date and pay on time. Setting up regular direct debits can assist with this. Try and pay more than the minimum payments every month. Your file reveals much of the debt that you owe. It will also show how much available credit that you have used. If your cards and overdraft are at their limits then you will have utilised most of your available credit. This doesn’t look good to lenders. You should aim at reducing what you owe and paying off existing debt. If there are credit cards open but not being used then these should be cancelled. Too many lines of credit are not appealing to lenders. Conversely, if you have no credit then this doesn’t look good either. Lenders will not be able to predict your behaviour. You should look at opening a credit rebuilding card and rebuilding the balance in full every month. If you don’t pay the balance in full then you will be subject to interest. Never take a cash advance on a card, this will show on your file. If you are not registered to vote at your current address then this will harm your credit. Apply to be placed on the electoral roll as soon as possible. It’s important that lenders can verify your identity and your current address.